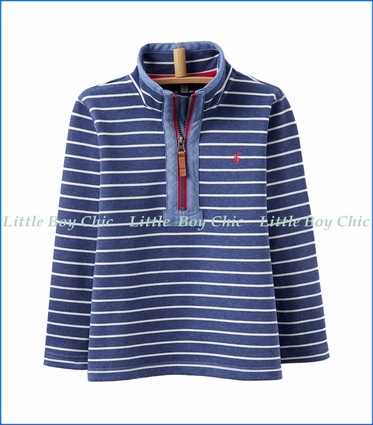 This striped french terry sweatshirt by Joules is ready for any boy on the go. Easy to pull on and off. 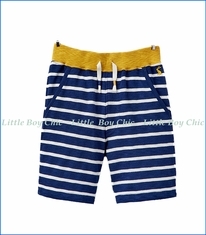 High quality cotton provides comfort, versatility and durability. Half zip front with signature pull affixed on denim panels. 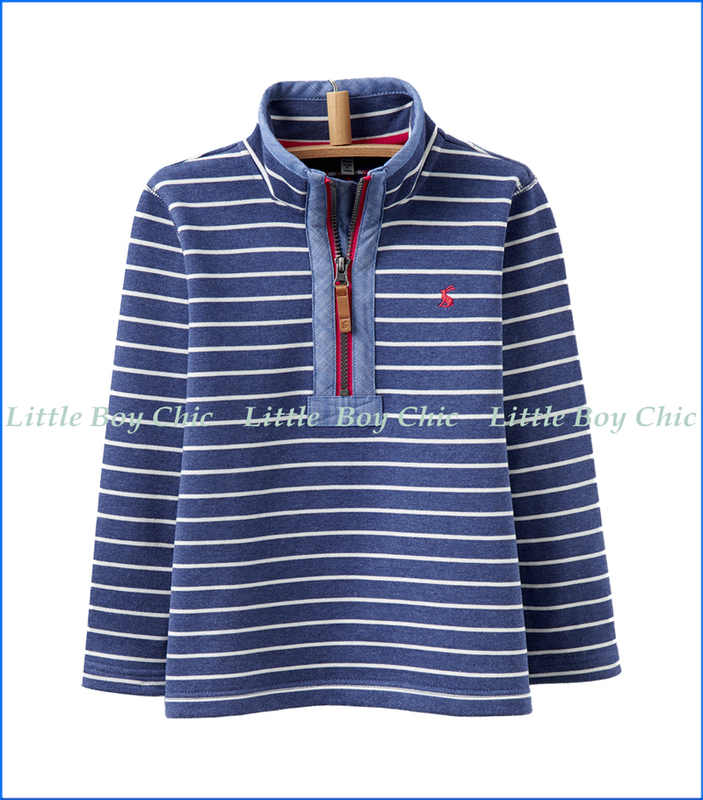 Mock neck collar lined with denim provides added coverage from the wind. Woven logo on back.